Theater Pizzazz' Evan Zimmerman was on the red carpet to capture photos of the many celebrities in attendance at the 6th annual BROADWAY BELTS FOR PFF! – a concert that raises much-needed funds for Pulmonary Fibrosis Foundation – was the recipient of a Mayor Proclamation earlier this evening Monday, February 29 at the Edison Ballroom (240 W. 47 St.). Julie Halston is the event’s emcee and one of its founders and producers. The Proclamation from New York City Mayor William de Blasio was presented during the program that featured a host of Broadway stars including Lisa Howard (IT SHOULD HAVE BEEN YOU), Margo Seibert (ROCKY), Hunter Ryan Herdlicka (ONCE UPON A MATTRESS), Daveed Diggs (HAMILTON), Randy Graff (CITY OF ANGELS), Cady Huffman (THE PRODUCERS), Judy Kaye (PHANTOM OF THE OPERA), Telly Leung (ALLEGIANCE), and Robert Creighton (THE MYSTERY OF EDWIN DROOD, CAGNEY). 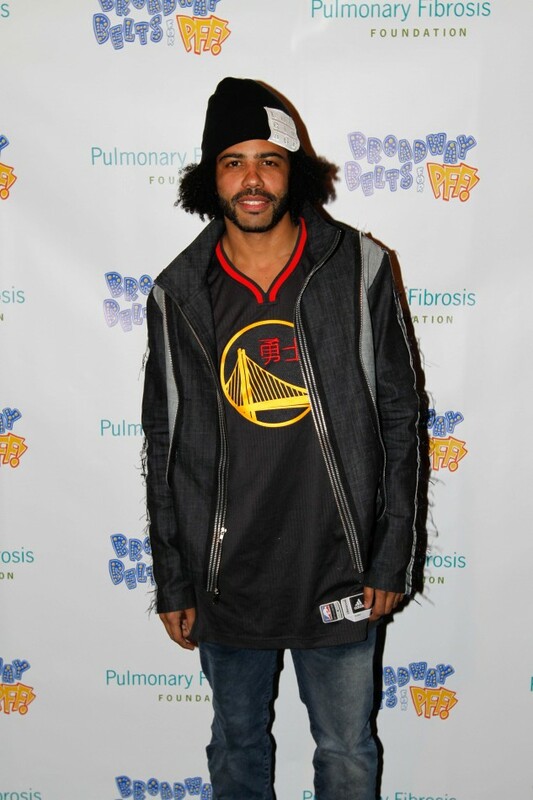 Daveed Diggs, the popular actor, rapper and poet who plays the dual roles of Lafayette and Thomas Jefferson in HAMILTON, debuted a new rap number, written by him especially for the occasion at BROADWAY BELTS FOR PFF! The event was directed by Carl Andress (THE DIVINE SISTER). Christopher McGovern (CAGNEY) serves as Musical Director, with musical supervision by Ed Windels. The benefit is produced for the sixth straight year by D. Michael Dvorchak, Sue Frost (MEMPHIS, COME FLY AWAY), Julie Halston and Ed Windels. 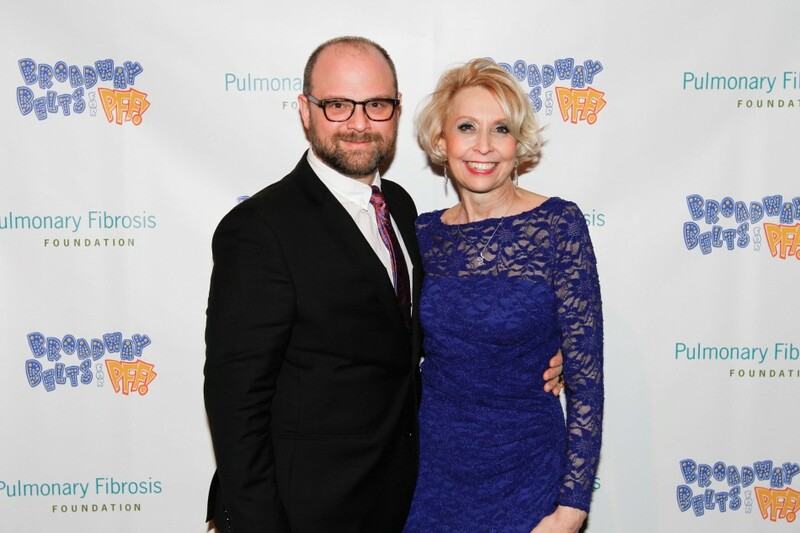 This one-of-a-kind evening of Broadway stars performing some of their favorite songs began as a tribute to the beloved Broadway theater critic Michael Kuchwara of the Associated Press, who died suddenly of pulmonary fibrosis in 2010. Coincidentally, Ms. Halston’s husband, the venerated newscaster Ralph Howard, himself was diagnosed with PF and a short time later, received a life-saving lung transplant. People of note who have died from PF include Robert Goulet, Marlon Brando, Evil Knievel, Peter Benchley, James Doohan and John Palmer.